Peel, wash and grate carrots. Chop green pepper. De-seed and chop jalapeño pepper. Peel, wash and cube potatoes. Brown and drain ground beef. Cook and crumble bacon. Boil for 15 mins: water, carrots, green pepper, jalapeño pepper, potatoes, garlic, bouillon and salt. Add ground beef and 2 cups milk to pot. Bring to boil. In bowl, combine 1/2 cup milk and flour stir until no clumps. Slowly add bowl contents while stirring pot. Bring to boil. Lower to simmer. While stirring, add both cheeses and cayenne pepper. 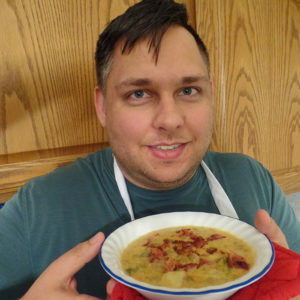 Serve into bowls and add bacon to top. 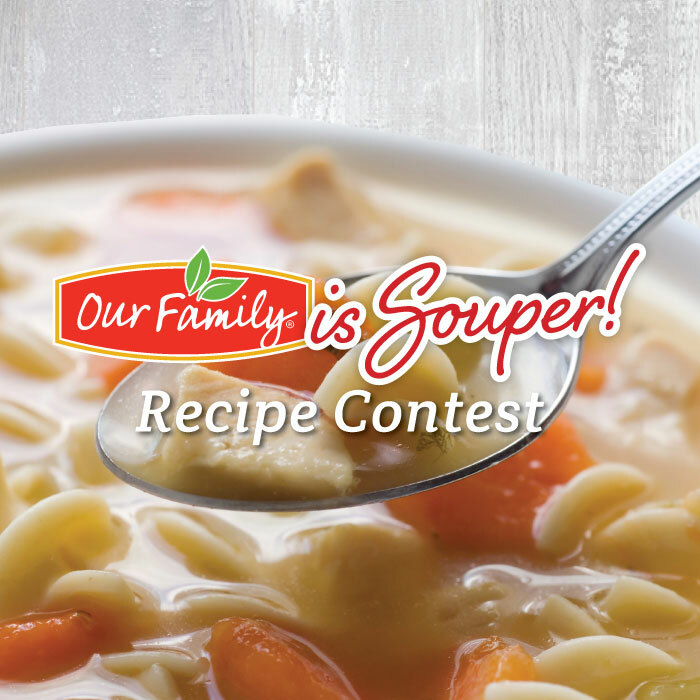 Click here to vote for Frederick’s recipe and help the Food Bank of Eastern Michigan!